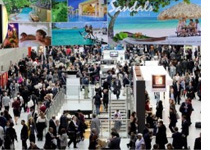 Written by Travel Excellence Costa Rica received the award for Best Stand Design at WTM, the largest fair in the English market that will help the country to get in position in new markets to find that would want to spend their Travel Vacations here. According to the organization, the judges praised the team of Costa Rican stand by the combination of sound effects of rain forest, music and design in general, which causes the feeling of being in Costa Rica, representing the perfect introduction for anyone who wants to know about their travel destinations. Costa Rica’s stand at the London Excel Convention Center is 250 square meters and highlights the natural abundance and sustainability of the destination, which is the distinguishing feature compared to other markets. The Tourism Minister Allan Flores, stressed the importance of participating in this exhibition along with 25 Costa Rican companies, which besides being the largest in the English market, is based on an approach to sustainable tourism, according to the model of tourism development which promotes the country. If you look for eco resorts, you need to visit Costa Rica. "We welcome this important recognition and the ICT will continue to work hard in promoting the destination in highly profitable markets for the country. This is why they joined forces to ensure effective projection of the destination in the European market, "said Flores. UK is the fourth most visited country in Europe to Costa Rica, after Spain, Germany and France (destinations that also participates in international fairs). In 2010, British tourists reached 34,745 (80% were admitted through the air). Almost half visited our country on the recommendation of friends for a Family Travel.